Escape – əˈskāp/ – verb – to get away; to break free from confinement or control. Every now and then we all need a little escape. A getaway that gives us some freedom from the norm, a change of pace. 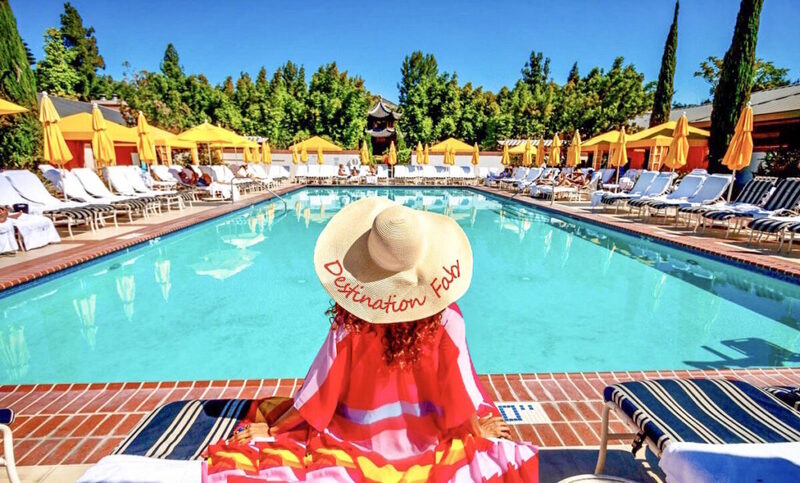 We’ve talked about the importance of staycations when we embarked on our first one ever earlier this year, and just a few months later we took some time away for another one, this time at the ultra-luxe Four Seasons Westlake Village in Westlake Village, Calif. Color us hooked. When you can’t take a trip for a long period of time, but are craving the chance to de-stress, unwind, and unplug, staycations can be the solution. They are short trips that last a day or a weekend, and aren’t so far from home, often just an hour or so drive away. 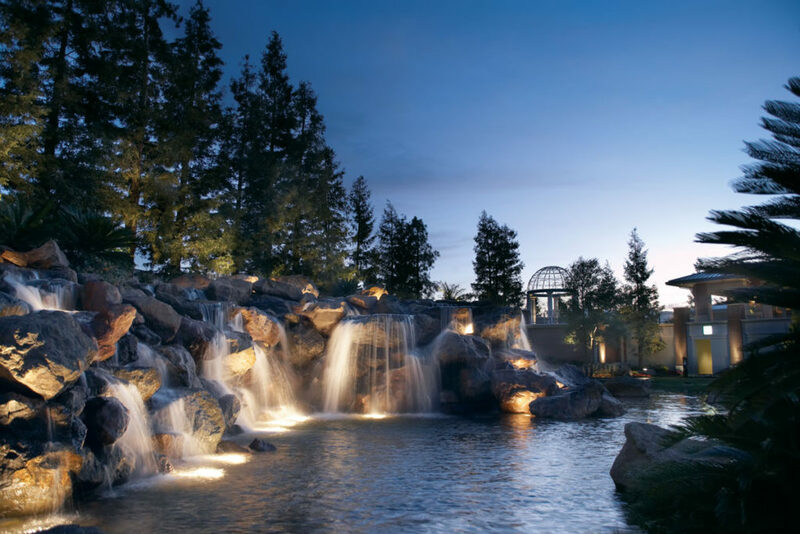 The swanky Four Seasons Westlake Village sits about an hour outside of Los Angeles in the heart of the Santa Monica Mountains, and is one of our top staycation picks for Angelenos and out of towners alike. It’s ideal for those looking for an indulgent spa day, a serene staycation that feels like its worlds away from the city, or a sublime shopping/spa getaway. 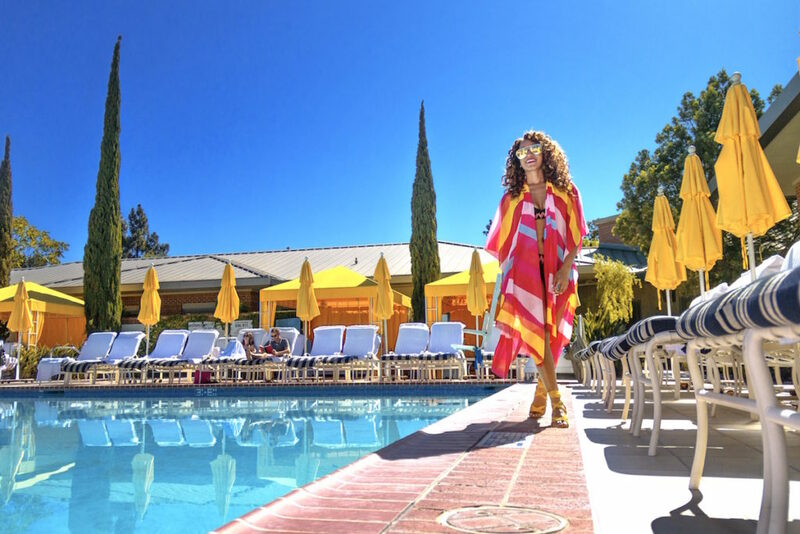 After a jam-packed Emmy weekend, we headed up the 101 to the resort on a quest for all three, and found our new staycation haven when we walked through the doors. A sparkling chandelier set the scene as we strolled along the marble floors and caught the scent of vanilla lattes brewing at the nearby Stir coffee shop. We headed to our suite (with an almond milk latte in hand, natch), opened the doors, and swooned. It came complete with a living room with a plush sofa and two loveseats, and our bedroom had a dimmable grand chandelier hanging above the beyond comfortable California king bed. For anyone who loves a good bubble bath, you’ll understand why we couldn’t wait to hop into the deep soak bathtub in the marble-coated bathroom, which is stacked with Bulgari and L’Occitane toiletries and also has a standing shower with a separate powder room. We twirled around the room, changed, and headed to our massage appointments at the spa, coupled with more down time by the pool. At dusk, we returned to watch the sunset, tapped a button, and the curtains slid open for an incredible view of the mountains as the sun cascaded into the sky. The Massive Spa & Pool: Step one foot in this 40,000-square-foot relaxing paradise and you’ll see why we gasped walking inside of it. Before guests indulge in one of the many spa services available (aromatherapy massages, ginger lime sugar glow body treatments, and more), they relax with tea in front of a tranquil waterfall in the lounge area. Most spa services range between $50 – $360, but if you really want to splurge, there is an intense Royal Transformation Facial that costs $1500-$10,500. A red bridge leads the way from the spa to the pool, where guests can order food and cocktails to their yellow umbrella-topped loungers. 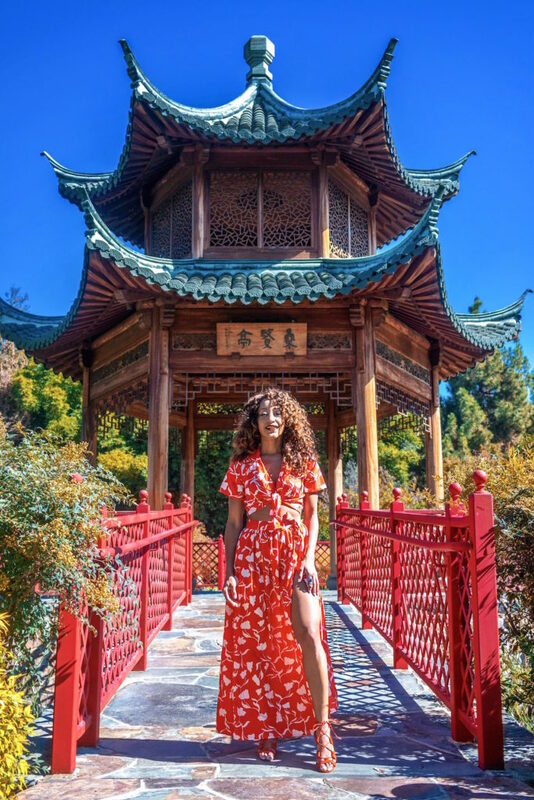 And just beyond the pool lies another oasis – a garden complete with a waterfall and giant asian Pagoda – a space that can be rented out for events. Those who want to beat the heat, or escape the cold on a chilly day, take a dip inside the indoor pool and jacuzzi. 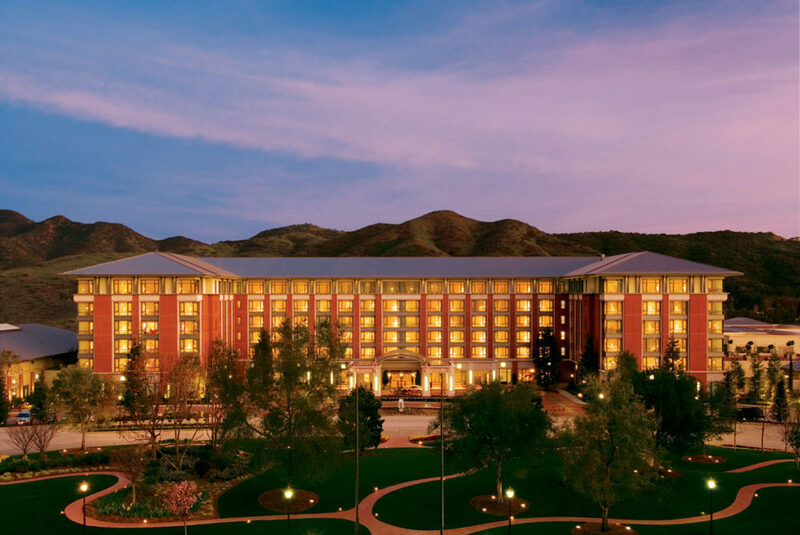 The Location: The resort has so many accommodations and features that there’s no reason to leave the grounds. 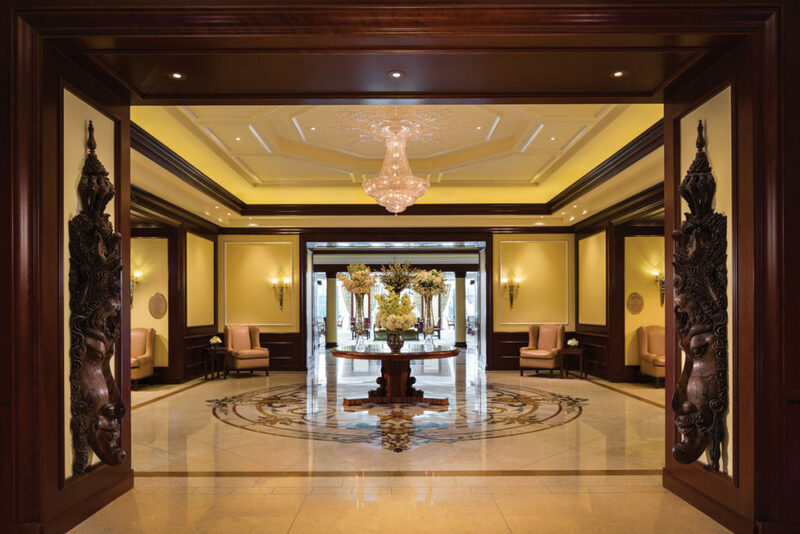 But if you’re craving a trip to the beach or a wine tasting excursion, the resort isn’t far from the beaches of Malibu. It’s about a 30-minute drive to the Malibu Pier, and an hour drive to Santa Barbara. Shoppers can also get their fix at the nearby Camarillo Premium Outlets, which is home to outlets for Lululemon, BCBG, Tory Burch, and more. Photo Credit: Fabian Gonzalez (You can shop this polka dot resort combo, here: top and skirt). The Restaurants: There are four dining options on the grounds – coffeehouse Stir, which serves up light breakfast options and pastries; the chic Tasting Room, where guests sip flights of Malibu Family Wines and munch small bites in a contemporary wine-tasting room; main restaurant The Art Gallery, which features seasonal California cuisine for breakfast, lunch, and dinner; and chic, outdoor lounge The Lookout, which has small bites and beverages. We ended up ordering room service, which has a full menu and includes most bites that all of the restaurants offer. 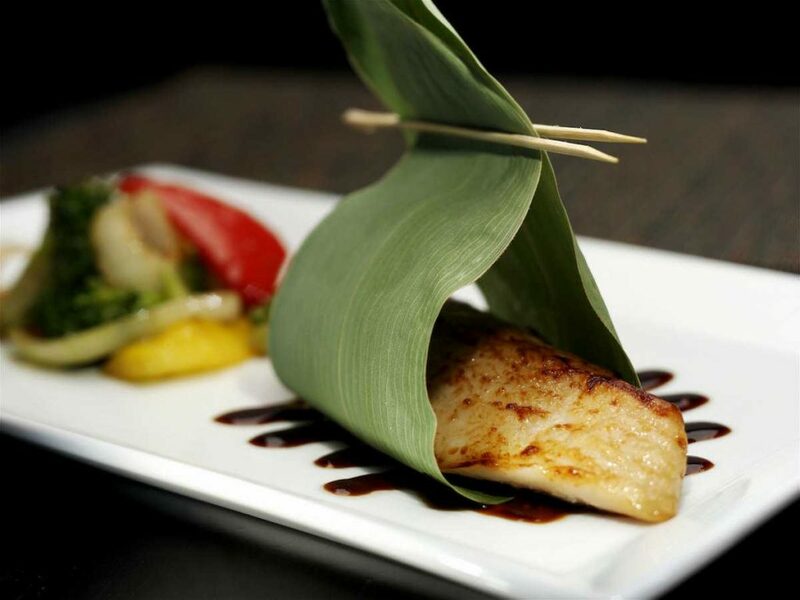 When you simply want a night in with food while you’re staying at the resort, we highly recommend doing this. Rhythm & Hair: Look no further than the 2,000-square-f00t salon on the grounds when you’re celebrating a special occasion or want some extra pampering. It opened in July and focuses on beauty as an expression of identity. The beauty haven includes six hair styling stations, four nail stations, three hair-washing stations, two nail stations, and a private barber shop. The Extras: Yes…there’s more. The resort also has a state-of-the-art gym, fitness classes, and personal trainers on hand. Guests who want to take their wellness regimens up a notch can also learn personalized strategies to redesign their lifestyles to create balance and optimize their wellbeing and health. 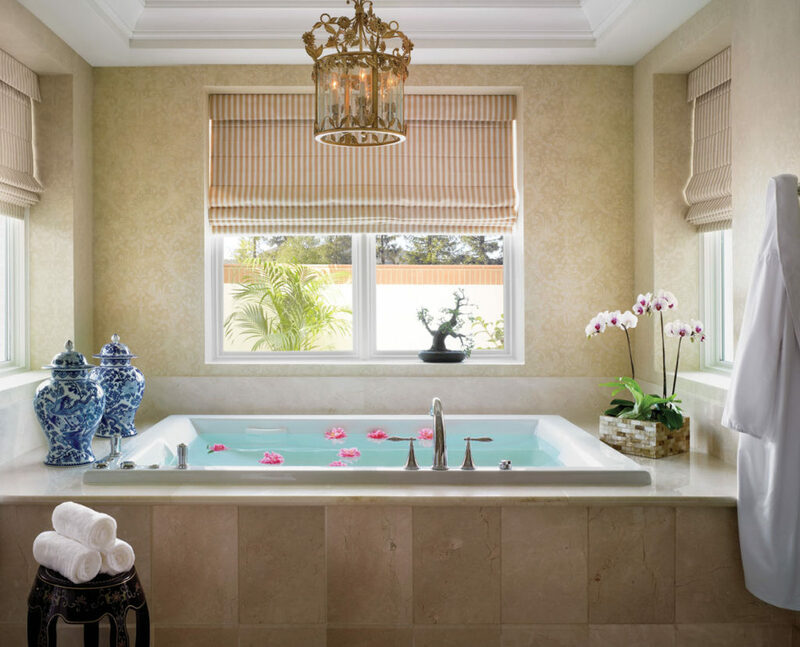 When it gets chilly, guests who would rather swim indoors can take a dip in the indoor pool and jacuzzi. The VIP Treatment: The concierge can arrange car transfers or limo services to and from the airport for you, complete with meet and greet services (for the latter). Rooms start at about $479 a night. 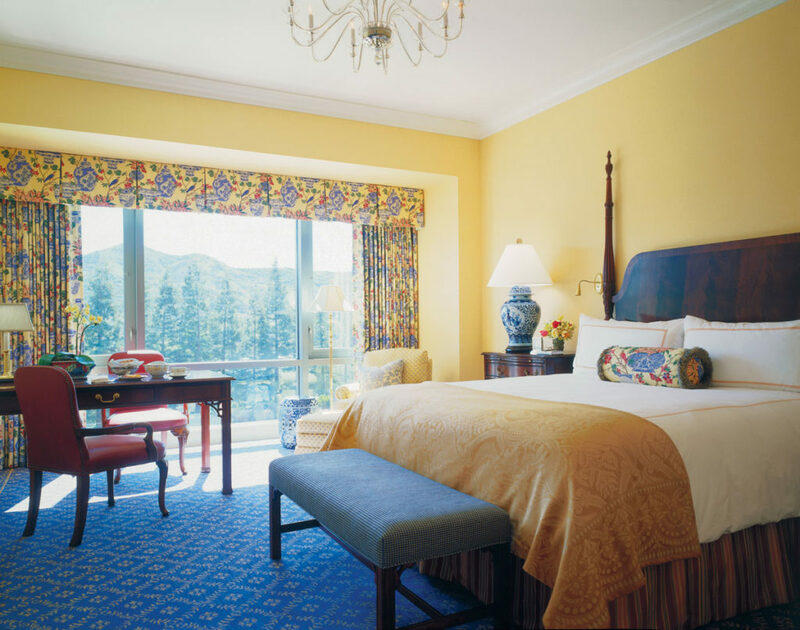 You can book your staycation at Four Seasons Westlake Village, right here. Did we give you resort style inspo? Shop all the looks in this post below!